I hear it so often, "it takes so long to put together" or "I just can't work it out". Furniture flat-packs are extremely common now and yes, you can pay to have a handyman build your table, book shelves or TV stand but really, it's very simple to do yourself. Lay all the pieces out where you can see them. Have your own screwdriver. 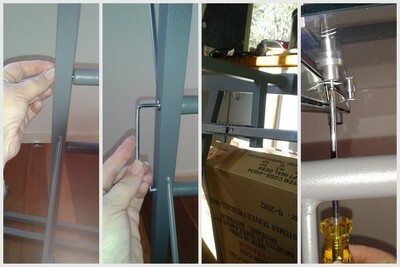 Flat-packs generally include an Allen-key but not a screwdriver. Things are done in a certain order because they need to be. My best tip is screw it together loosely to being with and don't tighten the screws up until you know everything is in place, correctly! 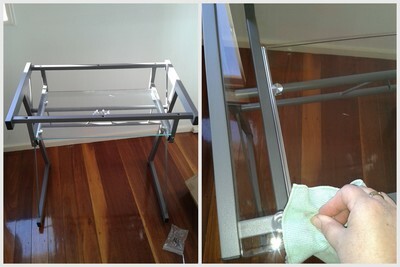 The small desk I was putting together had glass in it so I gave the lower shelf a clean before I added the top. And don't remove stickers until you have finished - they often indicate which way up it goes. 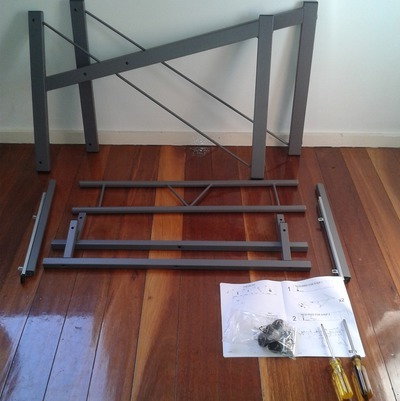 The instructions for this desk said I'd need 2 people and 90 minutes to complete it - I did it alone in 30 minutes including the photo's, so Flat-Packs really are very simple to put together if you take a few minutes, before you begin, to get organised. 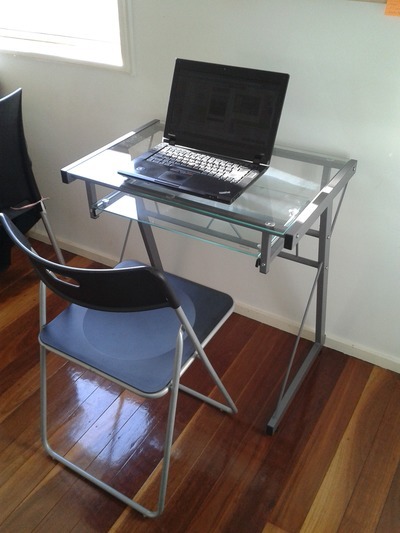 I am working at this desk right now, I have yet another Allen-key to add to my collection, and I did not experience any stress, frustration or confusion throughout the entire process. Next time you are faced with a Flat-Pack take a deep breath, read the instructions, and give it a go yourself. Animal ID - can you identify this animal?